Would you want a spaghetti junction in your neighbourhood? My initial thinking: grade separating suburban intersections is a terrible idea. It has the potential to be extremely hostile to pedestrians and cyclists, as well as businesses and other properties immediately adjacent the roads affected. One of the principal benefits of the redevelopment of the former Fishmarket site and removal of the Flinders Overpass is that it reconnects the city to the river. 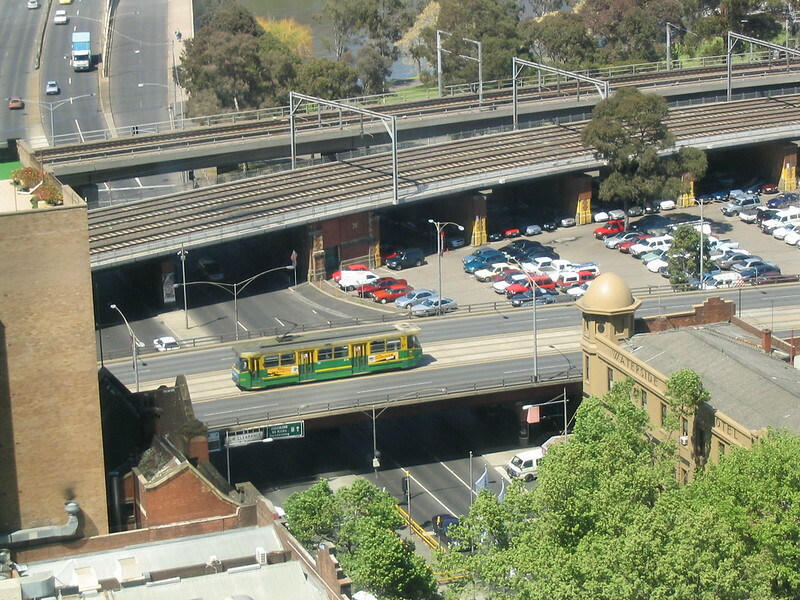 The Flinders Street Overpass has provided a physical and symbolic further barrier ensuring that the city ends at Flinders Street. The provision of a variety of activity on the former Fishmarket Site will activate that corner of the city significantly compared to its current role as a public carpark and impound facility. The Coalition’s new proposal goes backwards. And it includes signalised right hand turns, as well as signalised pedestrian movements across the road above, negating much of the traffic moving benefit. It’s unclear how many of the projects would require land acquisition to provide space for the ramps. That’s the problem with grade-separated road intersections – unlike rail/road grade separations (which benefit everybody, not just motorists), they are very space-inefficient. And all this to achieve continuously flowing traffic that would ultimately have no long-lasting effects thanks to induced traffic. There might be a short term benefit to people driving through your neighbourhood. But given there are no proposals to remove all the traffic lights along any one particular road, motorists might miss one set of lights, only to get stuck at the next. For everybody else — those who walk, cycle, or even drive locally — a spaghetti junction in your suburb would be an overwhelming negative. If you want a taste of grade-separated intersections, check St Kilda Junction. It’s huge, it’s horrible to ride a bike or walk, traffic movements are restricted/convoluted (eg Queensway southbound onto St Kilda Road), and to achieve it they bulldozed numerous buildings including the Junction Hotel. Designs may have improved, but they can’t solve the basic problems of geometry. Moving lots of cars requires lots and lots of space. 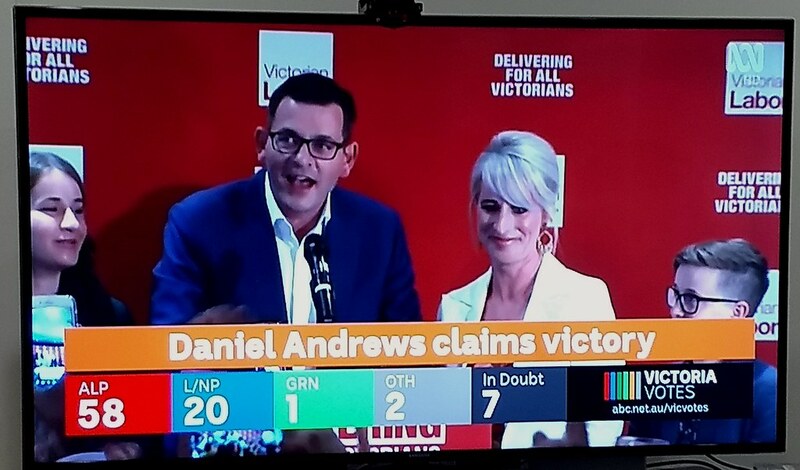 The State Coalition seems to have transport policies varying from the excellent (trains every ten minutes, every day — a policy that was announced in March but is still worryingly absent from their web site) to the dire (roads, roads and more roads, including building so many motorways at once that even the RACV said it was over-the-top). It’ll be interesting to see if this particular proposal gains traction. 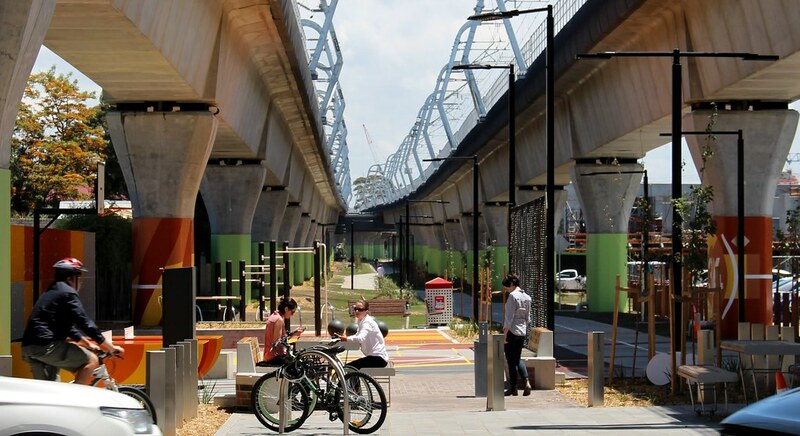 Alan Davies – The Urbanist: Is this underpass plan under-developed?